Garmin has updated its nüvi satnav lineup with the launch of its nüvi 700 series. 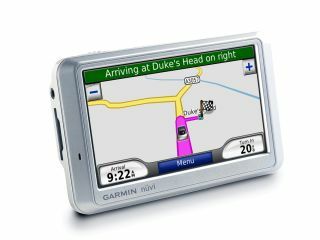 Garmin has enhanced the user interface of its in-car nüvi satnav system to make it simpler to use. The nüvi 700 series is designed to be straightforward but sophisticated, and has advice screens built in to help users operate its route planning and GPS satnav functions. The nüvi 700 series devices have bright 4.3-inch colour touchscreen displays (480x272 pixels) with integrated GPS antennas. The nüvi 700 series offer traffic alerts with free subscription to traffic services included in the price. The devices also include Garmin's Cyclops technology for updated safety camera alerts. Bluetooth is built in to the nüvi 710, 760 and 770 models for handsfree mobile calling, while the while nüvi 700 series have FM transmitters for sending audio from attached music devices through vehicle stereos. Text-to-speech technology is also included on the nüvi 750. 760 and 770 models, where the names of the roads are read out loud when navigation instructions are being given by the device. The nüvi 700 series satnav systems also have picture viewers inside. The Garmin nüvi 700 series satnav system is aimed at consumers and business fleet users. Up to 200 destinations can be added in one route, and features a 10,000-point track log so journeys can be viewed back. Users can choose to tap in destinations using an onscreen Qwerty keyboard or an alphabetical one, making it easy to use for those who prefer not to use a PC style keyboard layout. All nüvi 700 series models except for the 750 are expected to be available in the UK in October. Prices are: nüvi 710, £279.99; nüvi 760, £369.99; and nüvi 770, £449.99.